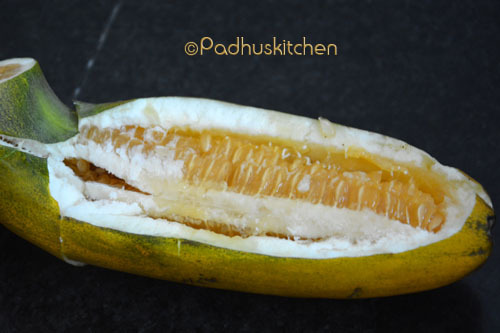 Cucumber Fruit known as "vellari palam" in Tamil is available abundantly during summer. This fruit is very nutritious and has many health benefits. As this fruit is high in water content, it helps prevent dehydration. 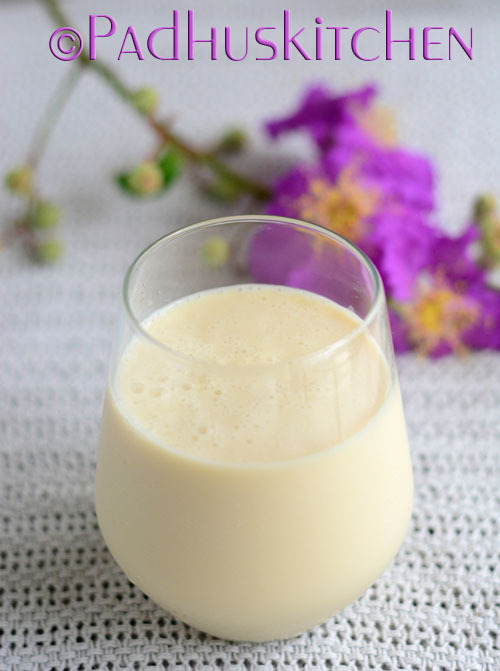 Though I am not a big fan of vellari pazham, I love the milkshake prepared using this fruit. Wash, peel the skin and remove the seeds. Chop the vellari palam roughly. Blend the cucumber fruit with 1/4 cup of milk to a smooth paste. Then add the rest of the milk, needed sugar, ice cubes and blend it smoothly. Refrigerate it and enjoy chilled. Beat the summer heat with a chilled glass of refreshing cucumber fruit milkshake. Check out more Milkshake Recipes and Fruit Juice Recipes. Madam, I am a regular visitor of your website. I like your sincere hard work to do a good service to the society through your wonderful recipes. I have one comment to make. Please give due consideration to health also, while recommending a recipe.For example: in this recipe, you have recommended sugar, which is very bad for health. Please check in the internet about it, if you doubt me. Please minimise the usage of sugar as much as possible. Of course, it is very very difficult to make sweets without it, but at least you can include a warning while giving such recipes. If you have time, please experiment replacing white sugar with something more healthy such as jaggery, brown sugar. I know people already doing it. For example, jaggery mysorepak. If you could use your good talent and intelligence in that direction, it will be of great service to humanity, particularly in these days of serious health problems such as obesity, cholestrol, bp, heart diseases, cancer, diabetis, etc, which all have connection with sugar. Thank you for liking my website and for your nice words. I think you have not browsed my site much as I always replace or substitute unhealthy ingredients with healthy ones with a few exceptions. In this recipe, I have not substituted sugar with jaggery. You can use jaggery or palm jaggery instead of sugar.